Rasalom's carefully crafted machinations all along). Rasalom grants Vlad the eternal powers and weaknesses of a vampire. 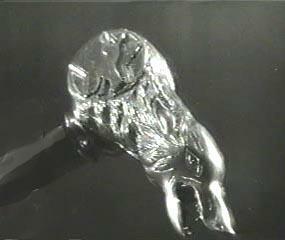 Photo of Wolfs Head hilt, obtained by an agent at the cost of his life. the legendary hero King Arthur Pendragon at ancient Camelot. pouring the blood of a sacrificial victim on it. legendary heroes, of the timeline we call home is clearly merited. college to learn the mystic arts. deciphered by Danesti and a few of his monk followers. the real Vlad Tepes, and had studied his mannerisms from afar. plan for achieving vampiric ascendency reached fruition. alongside his fellow Great Old Gods. Father of Serpents, and Tiamit, the Dragon of Arabu. humanoids called the Serpent Men, by way of Slidith's "half-brother"
a wooden stake in the heart). existence was evidently ended by Simon the Mage himself. Vlad Tepes was an imposter not worth his time. Danesti would be throwing in Wallachia while in the guise of Dracula. leading them into the hands of their mortal enemies, the Ottoman Turks. heretofore refer to as Dracula-Danesti. 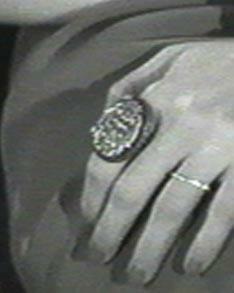 of these rings in concert to steal Dracula-Prime's essence and memories. more his personal power would grow. this area rivals that of Dracula-Prime). where he was placed in a state of deterioration and suspended animation. see his article Rocks and Trees. regenerate severed limbs, but only gradually, not within moments. writings of H.P. Lovecraft; and Tiamut of Arabu in the writings of Robert E.
modern reports compiled by Lin Carter. Gitta, can be found in the writings of Richard L. Tierney. Eerie Vol. 1 #50 by Warren Comics. various reports by Paul Feval. and Count Yorga was uncovered by agent Rick Lai. revealed in Rick's tale, however; this info is the conjecture of Prof. Nero. the Vampires since Varnae willingly abdicated the status. of both Varnae and Rasalom. begins his reign of terror in Mexico. Belmonts, thereby keeping them away from Dracula-Prime's schemes. the Son of the Devil, i.e., Dracula himself. Dracula-Mathias. Photo courtesy of Prof. Zahir Blue. (a.k.a.,THE LEGEND OF THE 7 GOLDEN VAMPIRES). ** For more on Rex Rufus, and his role in a most deadly lineage, see Prof.
Dennis Power's article Hyde And Hair. *** See Konami's many "game" files comprising the CASTLEVANIA saga. de Rais to his side. * See file by Roy Thomas, "Castle of the Undead." * See agent Joss Whedons' file Buffy vs. Dracula. * See file by Roy Thomas entitled "Retribution in Blood." necessary to synthesize a homunculus. distraught Monster promptly flees the mage's laboratory. peacefully handing the unconscious girl over to her father, Olben. which costs the old man his life. the alchemist's son Antonio, apparently killing the boy outside of view. was determined to destroy his Monster to make amends. hurling him into the waters of the sea during a sudden violent storm. soul-clone's enemies bereft of any help. 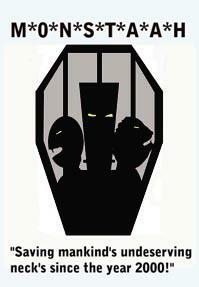 Merle's file The Monster and the Magician, Or Frankenstein Revisited. Meets the Hunchback of Notre-Dame and published by Black Coat Press. but has been conjectured from research conducted by Prof. Nero. most of the rest of the Dippel family relocated to other parts of Europe. assaults on his Castlevania construct. Brakola, into a vampire to serve as a figurehead. potential to develop this curse. the Nine experimented on breeding special sub-species of these insects. the mbwun virogen were spliced into this bacteria. corrupt scientist Maynard Crandall; see entry for 2005.
research of Prof. Dennis E. Power. (simply and appropriately enough) Werewolves. 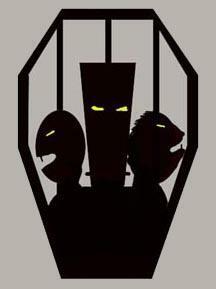 * See Prof. Dennis Power's article, Best Fangs Forward. romance with Mina Murray Harker, which may have been the "final straw"
leadership of the League of Extraordinary Gentlemen circa 1898.
he is even still active, are unknown even to this org. closely resemble the events of Bram Stoker's classic file Dracula. spend the next 17 years working to perfect the procedure. the same name), as well as Charles A. Moses' file FRANKENSTEIN 1970.
information, and who scribed this entry. 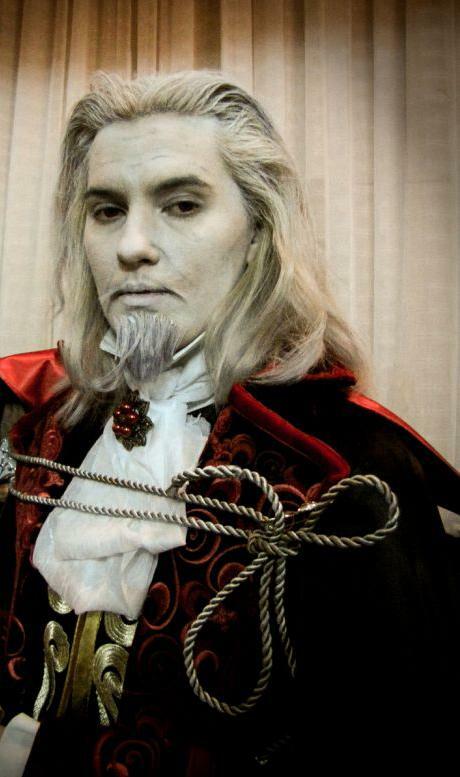 creates for him the alias of Count Lejos Zeleska. 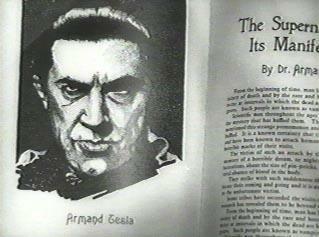 Page from the rare tome The Supernatural and Its Manifestations, containing the only known image of Dracula-Lejos. Individuals who encountered this soul-clone have confirmed that this printed image matches the vampire's face. captured by Frankenstein and Dippel. Horseman) tangles with Baron Brakola. humanity under his standard. He is ignored. See the file Red Reign by Kim Newman. Llanwelly, Wales Birth of Sir Martin Talbot, Lord of Talbot Castle. Alphonse Frankenstein and his wife, Caroline Beaufort. Birth of Peter Talbot, younger brother of Sir Martin. name to humiliate Nimrod-Lothos, and is named Lestat. rest by Buffy Summers in the late 1990s. trade by the Western nations not realizing the Vampire Lord's true nature. time when Dracula-Prime would have use for the Mamuwalde Clone. while still in the Count's captivity. accidentally gave himself a severe cut while handling the coffin. AMERICA, whose story was adapted into a hit romantic comedy. the early 1970s, see the entries on this timeline for 1971 and 1972.
tome Frankenstein; Or, The Modern Prometheus. long-time leader of the infamous Black Coats criminal empire). Prof. Barry Ward, who has conducted some research on them. equipment in the lab and struck the synthoid, activating him prematurely. Frankendroid 1 (as others would later be activated). reinforce the false beliefs of the synthetic creature. correspondence with the Monster for quite some time. copycat flesh golems to provide the synthoid with greater verisimilitude. that were initiated during the 1960s decade. work by Professors Gregory Long and Steven Pertwillaby.